I LOVE Chili...really any type of chili. I could even eat it in the summer months when it's not so cool outside! So I love the chance to try out any new recipe! 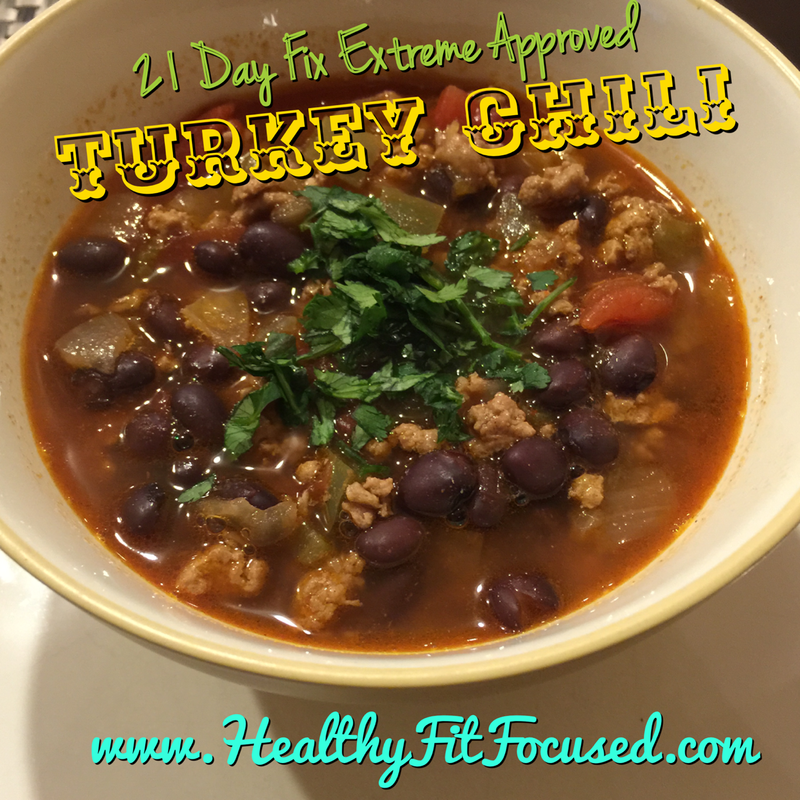 This is a GREAT one and it's 21 Day Fix Approved!!! Even better! My family loved this so much that we had NO leftovers...I was kinda thinking I would have some...but it was cleaned out! Next time I'll be making a double batch!! Add beans and tomatoes (with liquid). Bring to a boil and reduce heat to low; gently bio, stirring occasionally, for 15 to 20 minutes, or until thickened. Serve warm, sprinkle with cilantro. This is a great recipe for CROCKPOTS...or you can make ahead of time and place in a freezer ziplock bag (gallon size after it's cooled) and freeze for later...great for meal prep!! Did this miss an ingredient? This came out to be a bowl of basically chili but without ANY liquid whatsoever. I am thinking about adding this back to my stove and adding chicken stock...it taste good but I was looking for more of a soup chilli...if that makes sense. Hi Kristen, I know what you mean...I thought the same thing, I prefer mine more "soup like" too. I think the recipe is the way Autumn intended it to be, however I typically add water to mine to make it the consistency I like. I've seen a video she's done where she is scooping this out and hers really is the way the recipe reads. She puts it into a container that has separated compartments, so hers is not "juicy" at all. Ok, well, I thought I did something wrong! Sounds like I did everything correct. I will just add Chicken Broth, because like I said it does taste good! Thanks for replying! In Fixate she adds Red Wine to hers.